Like new nice gig bag and excellent condition guitar model FX335. Call Michaelshow contact infoGig bag can be carried or worn as back pack. The guitar and bag have hardly been used. 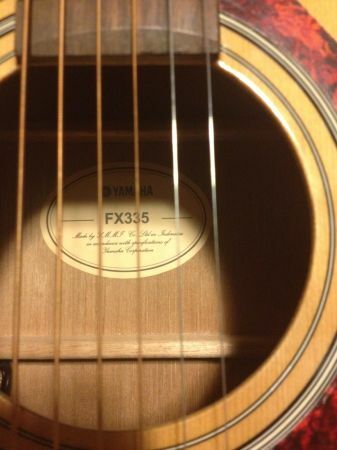 Selling a Yamaha Fx335 acousticelectric guitar in very good condition With Road runner gig bag, guitar method book planet waves tuner For $200.00 no trades, no checks, no shipping, cash only Call me leave a voicemail or text. 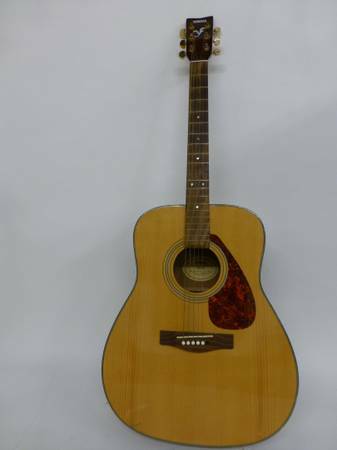 Well used Yamaha Acoustic Electric guitar in good condition. 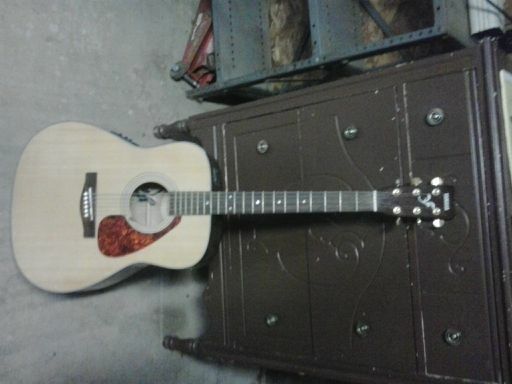 I just installed a new nut, bridge, saddle, and new strings. You can add a tuner, more strings, picks, a strap, etc if you wish. Mint condition. Still has pick guard protective cover Babied when played. Had the bridge lowered for great action. But the priceless thing is how this baby sounds. Rings out and plays like a $2000 guitar, which not all Yamahas do. People are always amazes at the sound she makes. You are buying a gem.